In the past two decades, the lighting industry has undergone two major technology-driven disruptions: The introduction of LEDs and the introduction of digital, IP-based networking. Their impact has been profound: LED’s have become the dominate light source and nearly every lighting company today is hyping the “Internet of Things” as their savior to battle LED’s resultant “socket saturation” and the long term shrinkage of the overall industry. Yet I believe that there will be a third wave of disruption, and that is one of channel disruption. Industry insiders who have visibility to the entire supply chain realize that the majority of the value stream is captured by the “downstream” players. Every middleman in the chain wants their 50% margins, which is why a product that costs $10 to produce is sold to end users for $100 list. And don’t forget all the other service expenses needed to simply turn on your fancy new lighting system. The western lighting industry is ripe for service innovation, but who will capitalize? The Asian tech conglomerates don’t want to take on channel disruption, because the time required to achieve big scale isn’t acceptable (as the recent retreat of Samsung and Toshiba demonstrates). Silicon Valley also isn’t interested, because no small startup can achieve scale within a fractured global lighting market that lacks critical industry standards. And the big lighting incumbents can’t for fear of retaliatory actions by existing channel partners and the ensuing short term pain. the third wave of disruption? Which leaves me to theorize: Mid-sized Asian upstarts, flush with capital to invest and no pre-existing channel obligations, could readily attack the establishment. And if they’re really aggressive, they can maximize their disruptive potential by launching new service propositions driven by IoT technology advances. 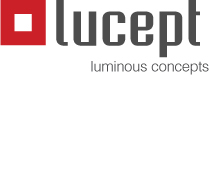 Opple Lighting is a prime example of the emerging dominance of mid-size Asian manufacturers in the global architectural lighting industry. With over 6,000 employees and $550m in revenue, Opple claims to be the number 1 lighting brand in China (by revenue) and is demonstrating aggressive global ambitions. Opple is expanding its customer reach by establishing local marketing and sales organizations: For example, in 2014 it opened its European HQ in the Netherlands, mostly staffed with former Philips Lighting talent, who have helped Opple win fast entrance into the European market. Opple is the breakout example, but has taken a traditional approach in pushing its product through well-trod local distribution channels. Eastern firms now control vast amounts of capital. This is a key point that I don’t think Western mid-tier manufacturers and middlemen quite comprehend yet (although when enough Lumileds or OSRAM/Ledvance sized companies are gobbled up by Chinese financiers, they might get the hint). To continue with the Opple example, Ma Xiuhui, the founder and CEO of Opple, is estimated to be worth $2.9 billion and #71 on the China Rich List by Forbes. Eastern firms are reversing the decades old trend of Western brands trying to launch into the Asian market – but with significant advantages the Western brands never enjoyed, such as a low-cost supply chain, access to plentiful capital, and a clean slate with no dependence on the existing market channels of the European and North American markets. The next wave of Eastern firms may seize opportunities to disrupt the channels themselves. While Opple’s success should serve as a warning to many Western lighting manufacturers, the 300+ exhibitors in Hall 10 at Light + Building should scare the hell out of incumbent channel middlemen – the very same middlemen that are ruthlessly shopping these companies on nothing other than price right now. 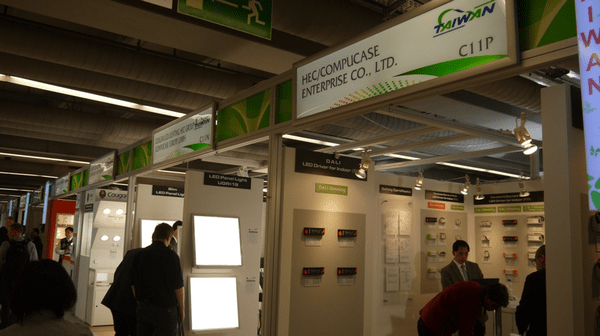 At Light + Building, I couldn’t help but notice the stark difference between the European companies and the upstart Asian competitors…particularly those exiled to Hall 10. My impression of the stands of the European manufacturers was one of flashy style but complacency — “hi gorgeous…isn’t life grand…have another cappuccino” — while my perception of the stands of the Asian manufacturers was one of fierce intensity and ambition — “we will win your business!” The problem though, is that the Asian upstarts are offering a sea of undistinguished commodity products through cut-throat wholesale channels, because most of them started as OEM manufacturers to the larger lighting brands. The fabulous Iguzzini booth at Light + Building – not too tough to spend several days of a tradeshow here, huh? Those exhibitors in Hall 10 must recognize that manufacturing muscle and low cost supply chains are not enough to capture the architectural lighting value chain: Design, marketing, sales and distribution are the deciding factors in capturing the majority of the value stream in the lighting industry. They need to stop playing the commodity game and start to out-innovate the established Western competitors. China’s leadership understands this and is already taking a proactive approach to creating a globally competitive innovation culture, but it will take time. For example, Tom Lockwood has pointed out that “…in the U.S., about 70 schools offer degrees in industrial design, but in China, there are 866 industrial design schools with about 50,000 graduates every year. And there are considerably more graduates in visual design.” And the New York Times recently chronicled Chinese efforts to create a tech startup culture. Those are great initiatives, but it will take a decade or more before Chinese millennials are in position to disrupt Western market channels. Yet the opportunity is immediate for existing Chinese manufacturers, backed with the deep pockets of Chinese capital, to attack European or North American channel competitors. I have to imagine that this will be the story for the coming decade, one of ambitious, mid-sized, well-financed Chinese and other Asian firms buying mid-tier fixture manufacturers or setting up their own local offices to hire world-class sales, marketing and design talent to augment their native engineering, manufacturing and supply chain prowess. Unlike Opple’s generic commodity product line, I bet the next wave will specialize their product lines and attack specific market applications, dominating those applications by building localized brands, introducing novel IoT propositions and web-based services to cut out middlemen, all on a foundation of fast-moving and low cost Chinese supply chains. I’m opening up the comments on this post. Please let me know which companies you see out there that look interesting. Which Asian manufacturers have reached “critical mass” on their march to global expansion – who are poised to go global and become the next Opple? The foundation is set – but what is next for successful Asian lighting companies?